In sales, time is money, and how you plan your days can have a serious impact on your bottom line. There are few feelings worse than realizing that you have inadvertently scheduled six straight hours of back-to-back client meetings or calls on a Monday while the rest of your week is wide open. This usually happens because you are in a hurry you don’t have a system that gives you a good overview of your week. Read our article about improving your time management to check out the importance of managing your time correctly. We realized that this was a major shortcoming in our activity scheduling system and we’ve now come up with a solution to address this. When scheduling an activity you’ll be presented with the option of activating the calendar view. Now you can see your entire week and make an informed decision on where you want to schedule the activity. Maybe you like sending client emails in bursts and find Thursday afternoons perfect to get your head down and start typing. 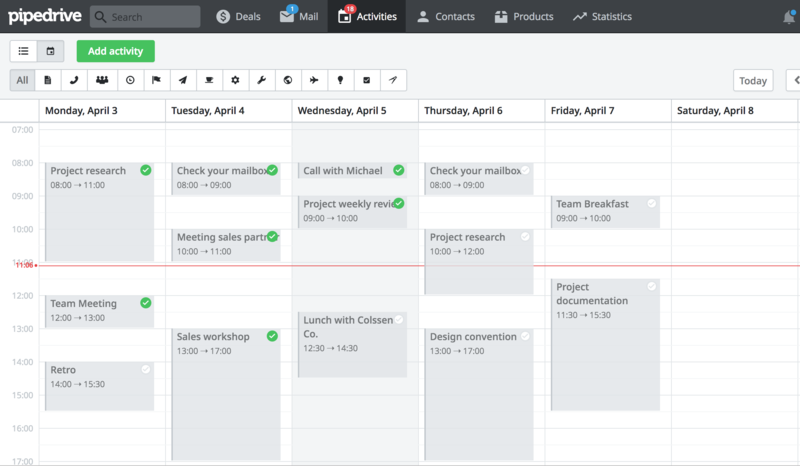 You’ll now have a clear view of how much work you’re scheduling for yourself. This allows you to block off periods on your calendar to ensure you have enough time allocated to take care of those activities. 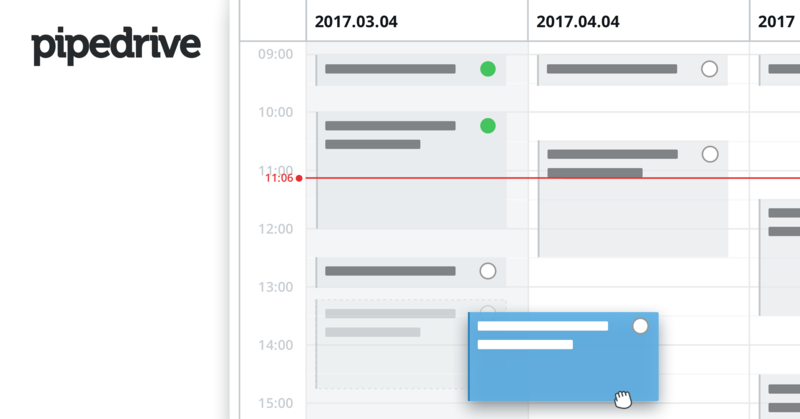 As a sales manager, you can see how busy your team members are and easily spot where there are mutual free times for ad hoc meetings by comparing their individual calendars. You can also check calendars before assigning activities to specific team members. We think this is such a useful feature that we’re rolling it out automatically to all customers over the next few days. Check for the label in the image above the next time you schedule an activity.